If you are currently looking for a multifunctional printer for your small offices of businesses, Ricoh Aficio 1515PS can be your solution. 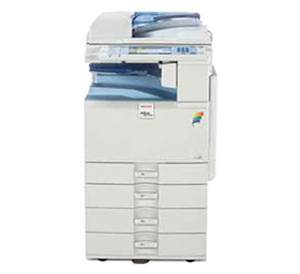 This machine provides the function of scanner, printer, and copier in just one device. It is equipped with both LAN and USB port to ensure its accessibility to multiple computer simultaneously and remotely. The size is slightly big, with 18.4 x 17.7 x 14.6 inches in width, depth, and height respectively, and 48.5 in weight. Additional spaces may be needed to install the device. The power consumption for Ricoh Aficio 1515PS is quite high, with 1000 watts during operation and 10 watts during standby mode. It is compatible with various operating systems, such as Linux, UNIX, Windows (95 and later), and Mac OS (version 8.6 and later). The copying and printing speed is 15 pages per minute and for the scanning speed, it is up to 22 pages per minute. These speeds are pretty average, but good enough to accommodate your business. Ricoh Aficio 1515PS is able to zoom documents from 50 percent to 200 percent. The maximum printing resolution for this printer is the same with other similar machine on the same class, with only 600 x 600 dpi. Download the latest drivers for your: Ricoh Aficio 1515PS Printer to keep your Ricoh product up-to-date.